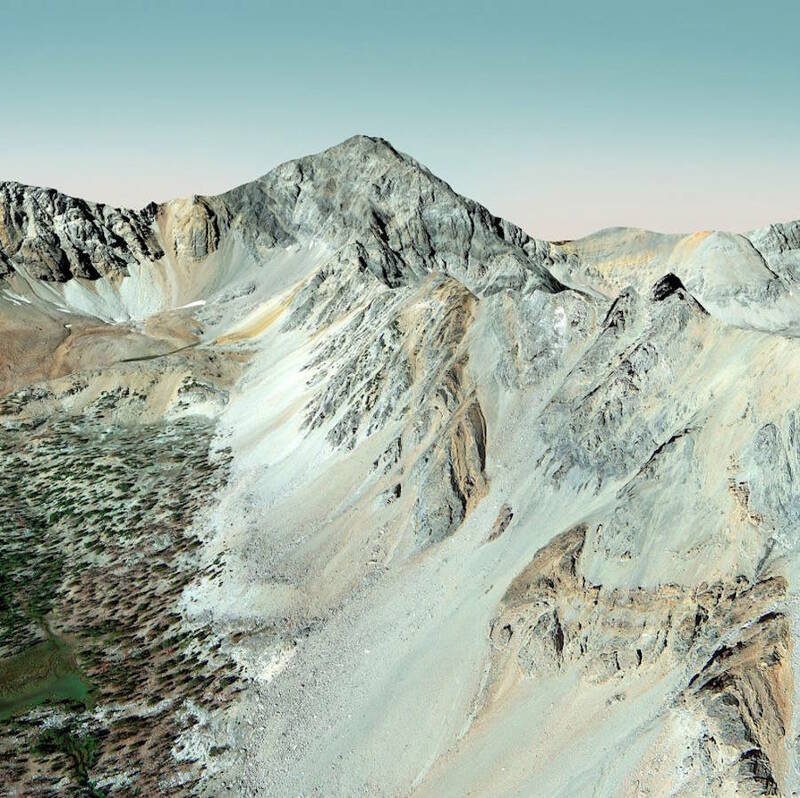 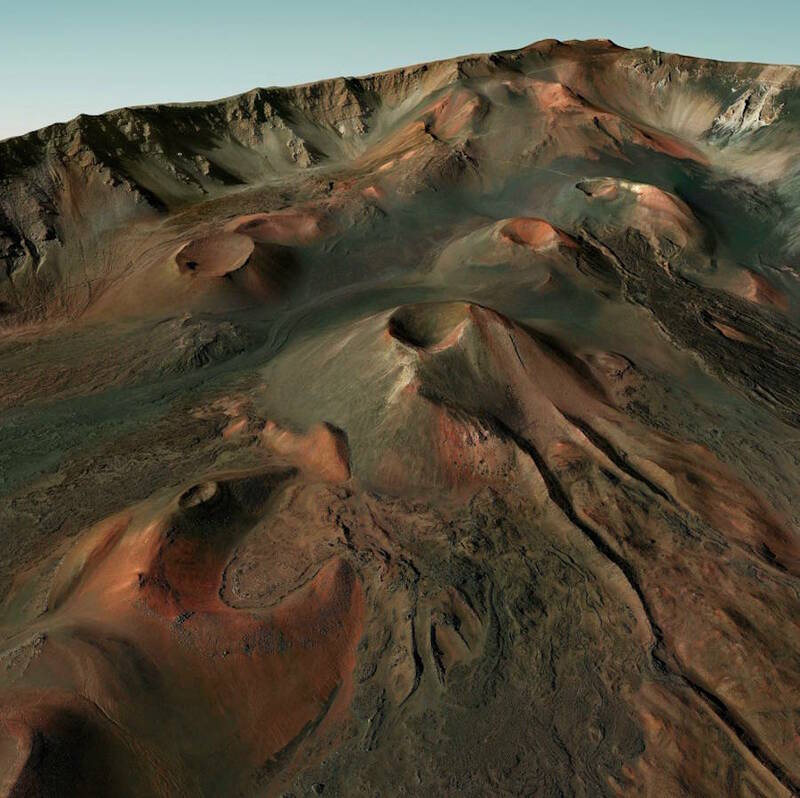 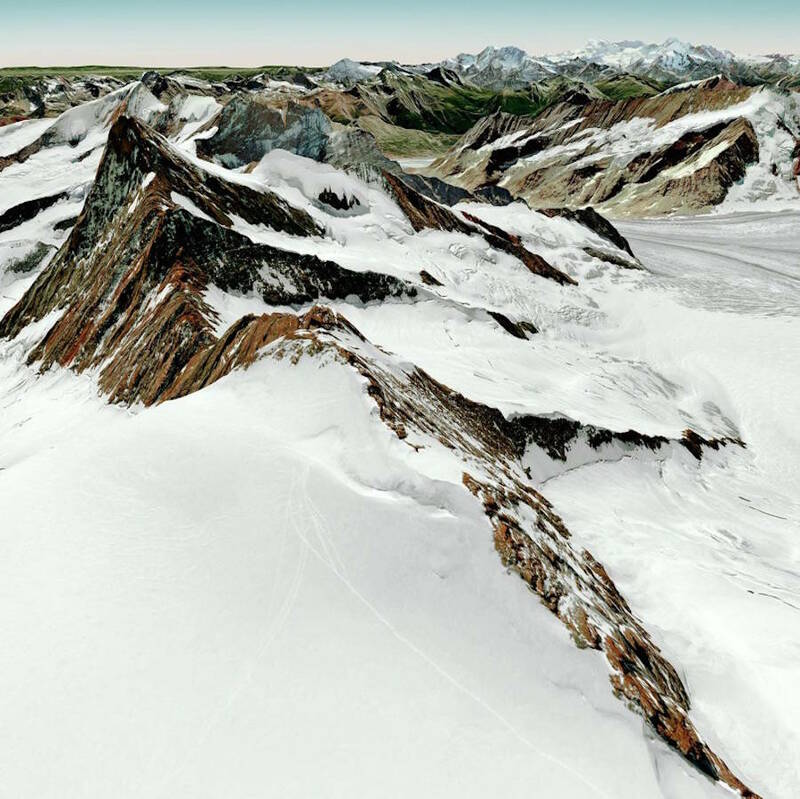 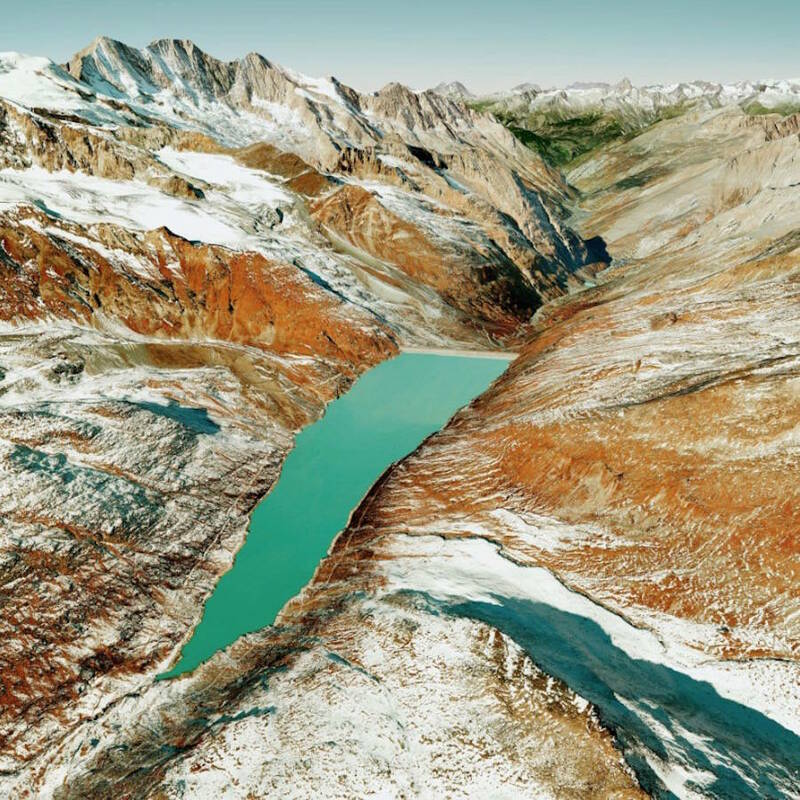 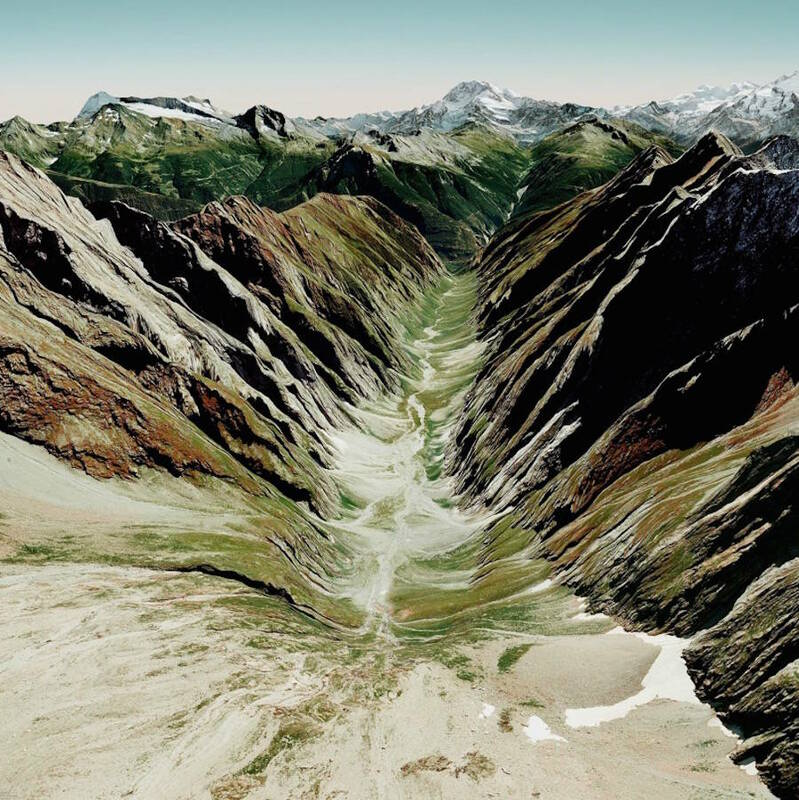 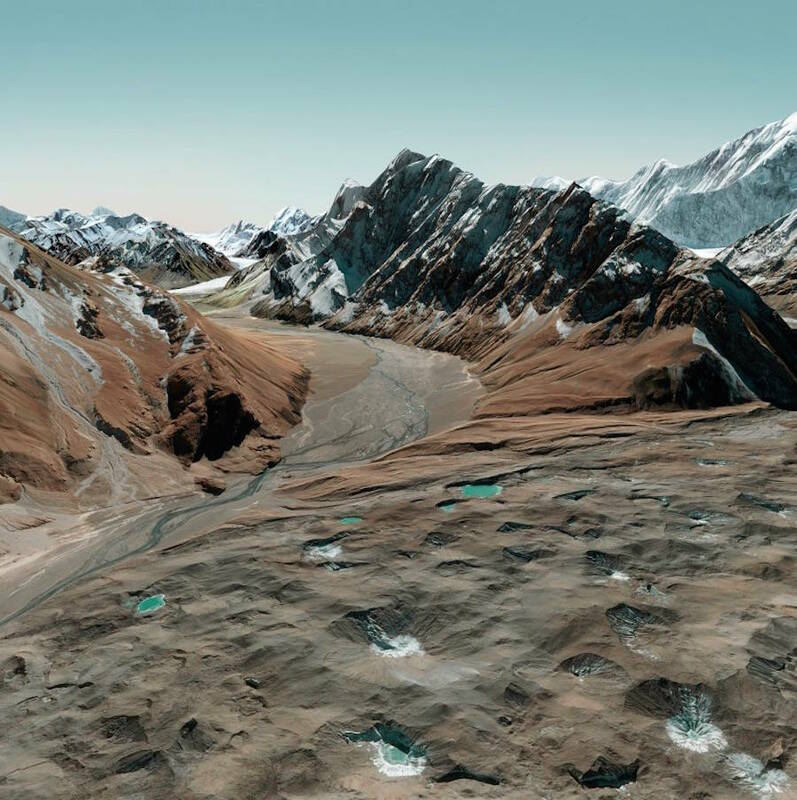 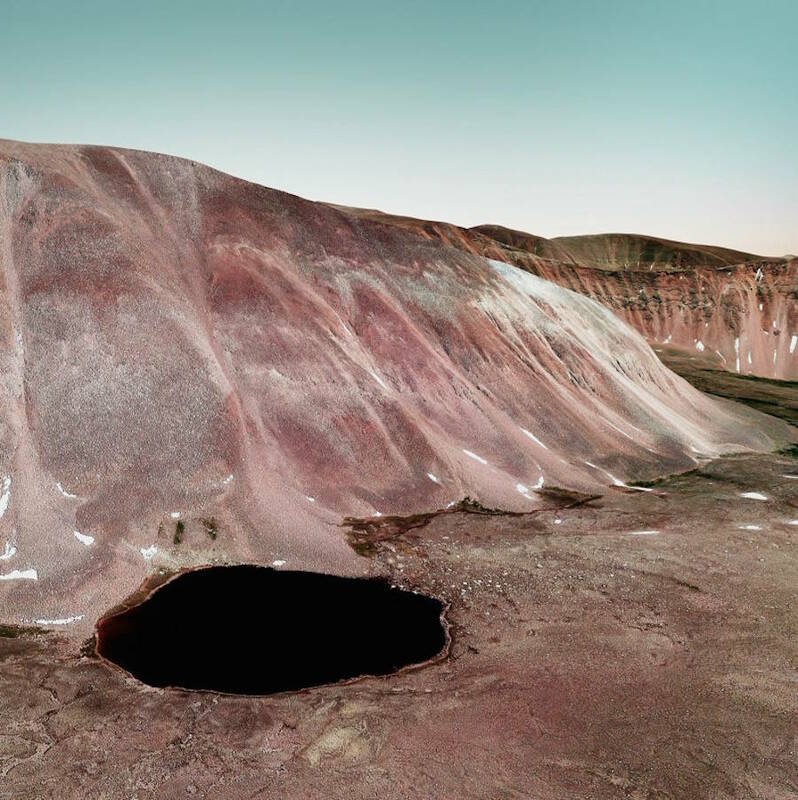 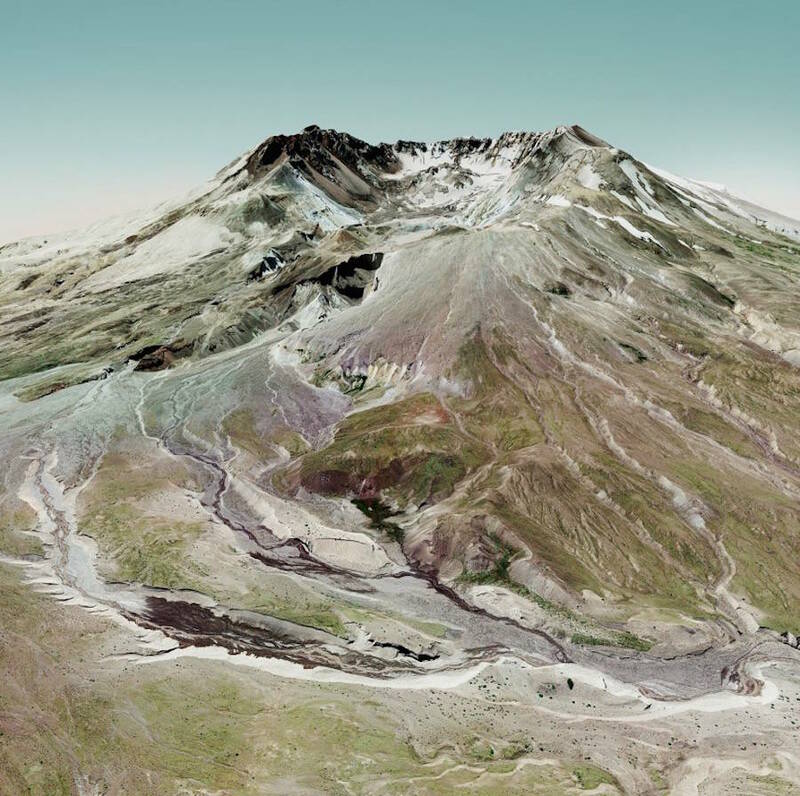 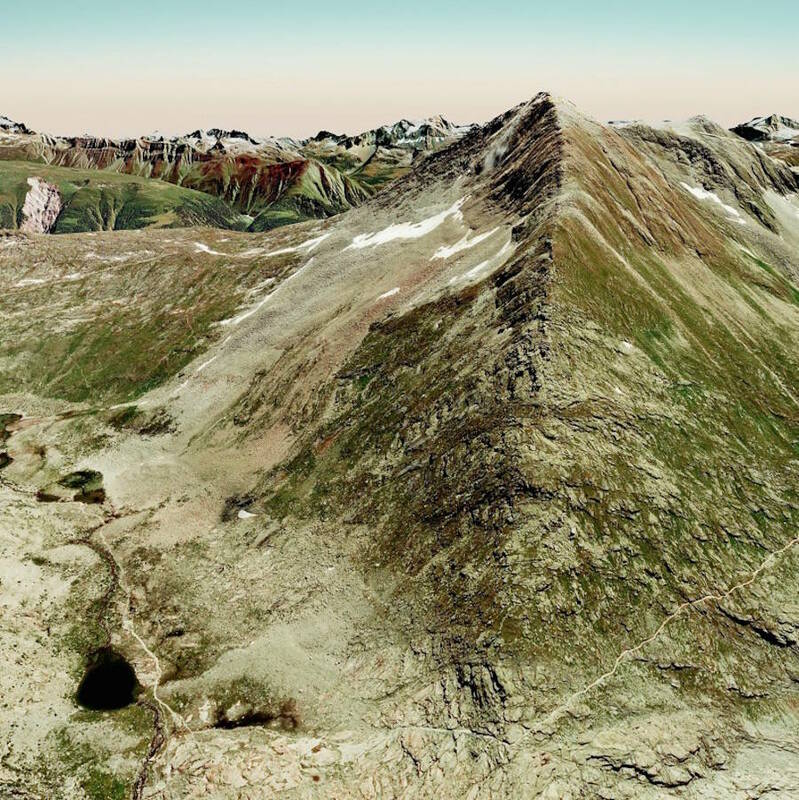 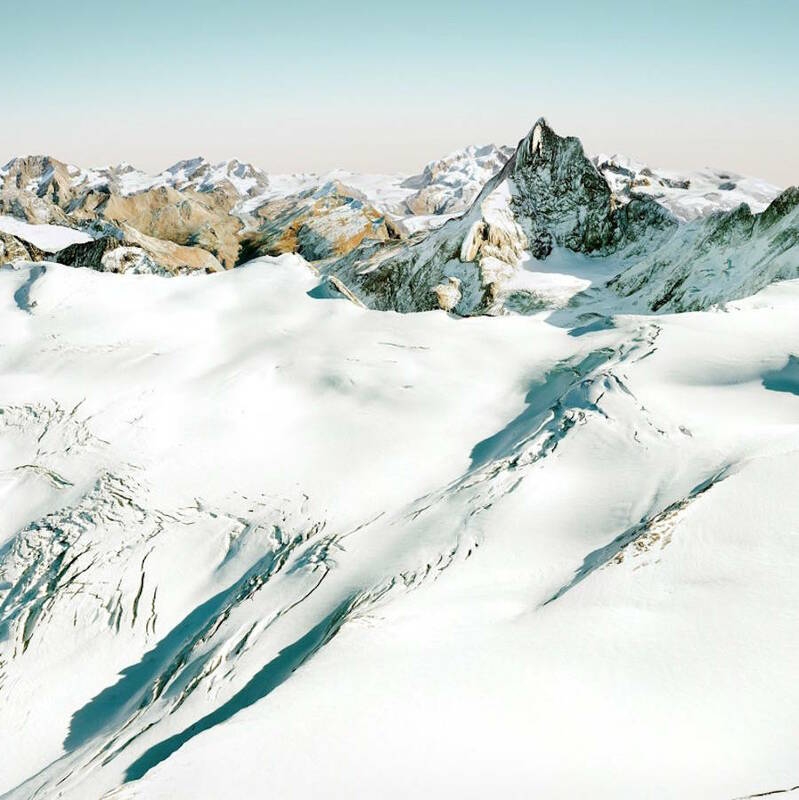 German artist Meike Nixdorf got the idea to give back all the beauty of mountain landscapes that we can see in three dimensions on Google Earth. 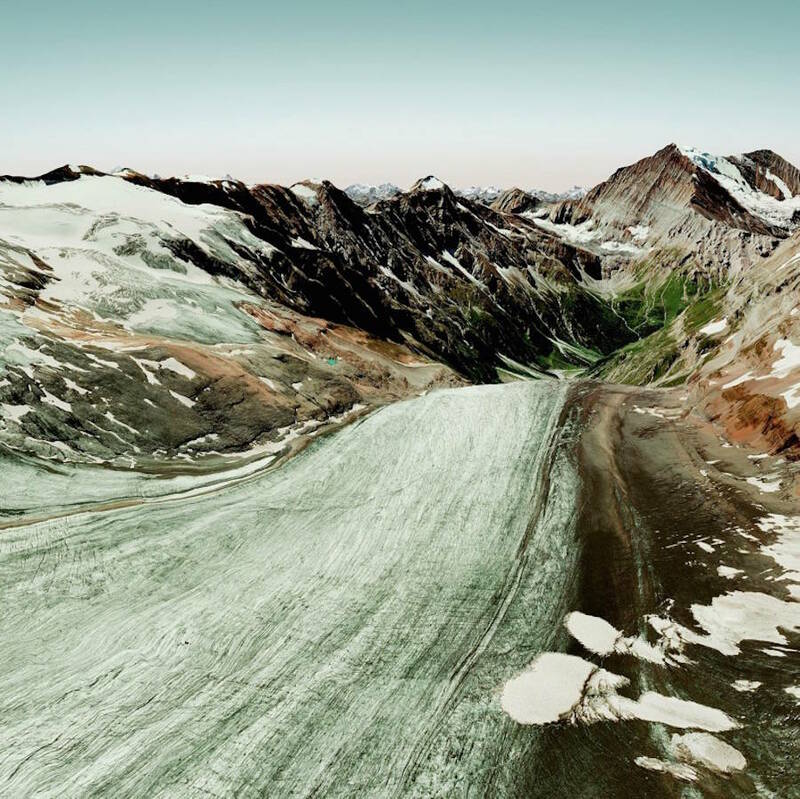 For her project entitled Your Earth Transforms, she chose the most beautiful perspectives with screenshots. 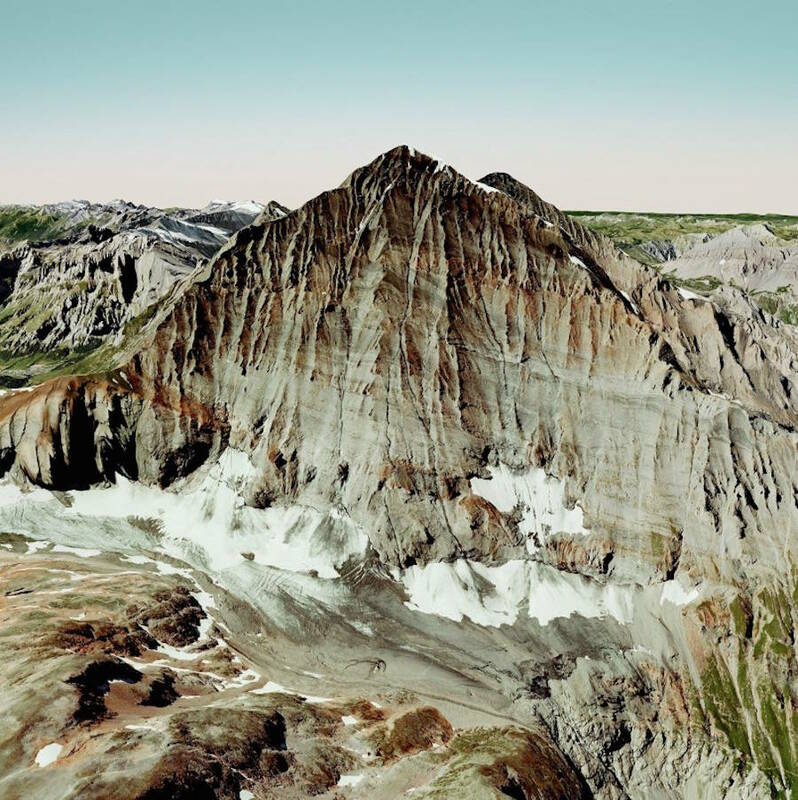 Through this project, the artist wanted to show that even if pictures show us that rocks or summits seem stable, it is always subject of changes. 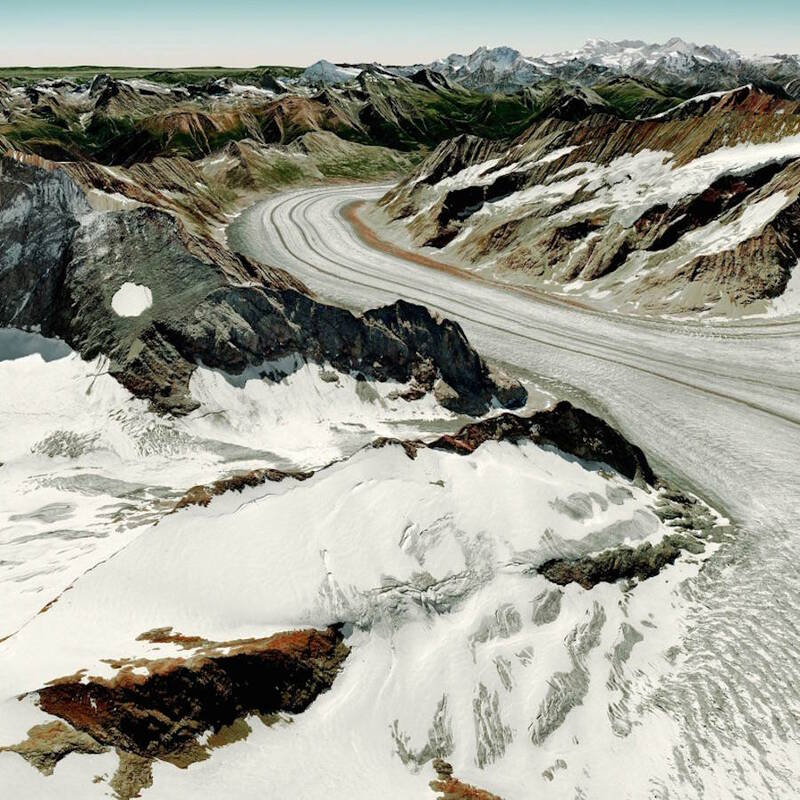 The nature and climat changes have impacts that cause futur earthquakes, the increasing of the sea level or eruptions. 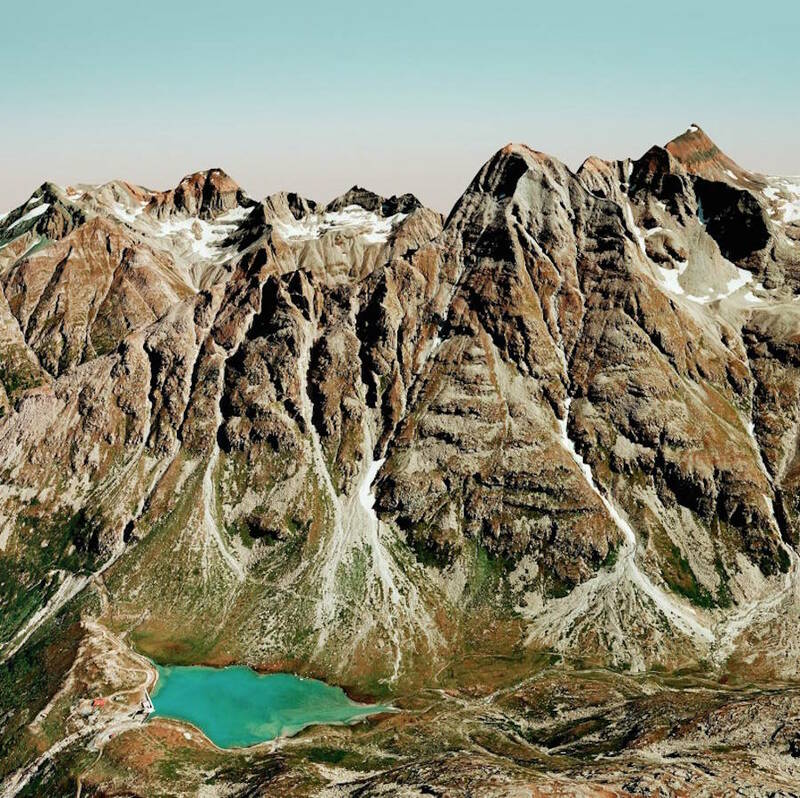 She was helped by the retoucher Grit Hackenberg to give to these pictures colors and textures that she wanted. 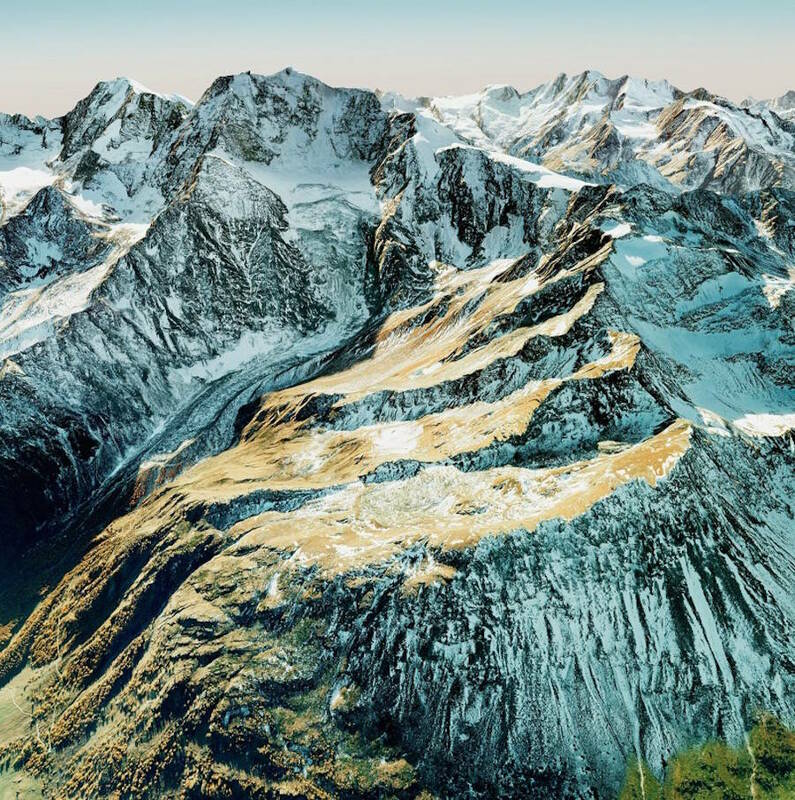 Many hours on Photoshop to come to this amazing result.